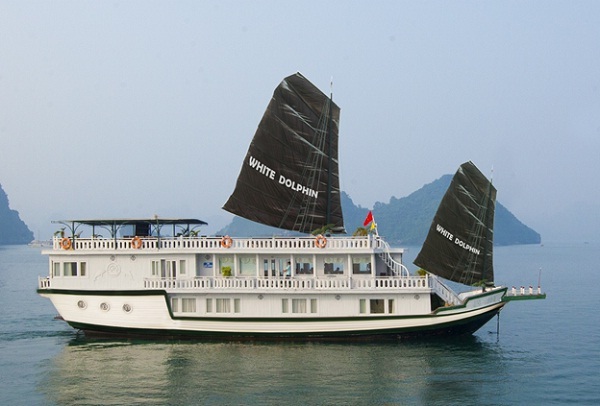 White Dolphin Cruise is an intimate small-junk experience with refined luxury, the two petit white dolphins is the ultimate way to cruise the Halong Bay’s over 10 000 islets and islands. Playground 200m2, bar for an exclusive dining experience on the third deck. 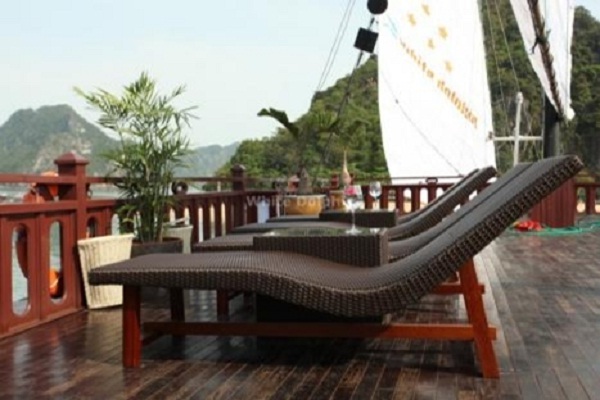 The top deck serves as a perfect place to enjoy lingering in the sunshine and discovering the splendid beauty of Ha long Bay with a panorama. Suites cabins are on the second floor. 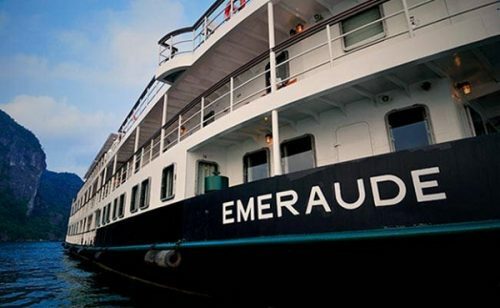 It is spacious room with balcony where you will enjoy better view, designed and fitted to luxury standards, wooden decor, large windows, and large marble bathrooms. Deluxe cabins are on the first floor, designed and fitted to luxury standards, wooden decor, large windows, en-suite bathrooms. 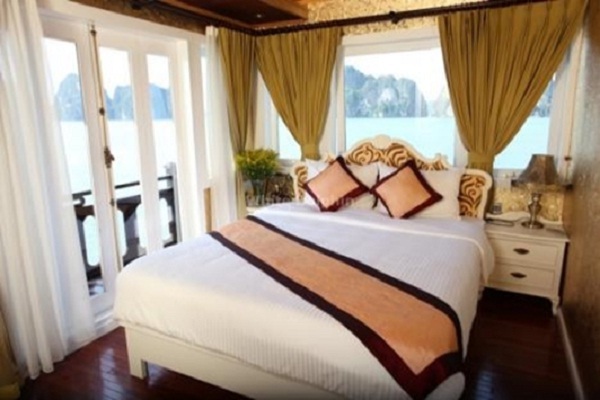 The dining rooms offer a comfortable luxury and romantic setting, with large panoramic windows from which to take in the beauty of the bay while enjoying Vietnamese cuisine at its best. The cozy bars offer a selection of Aperitifs, Spirits, Cocktails, beer and a selection of fine wines from around the world. 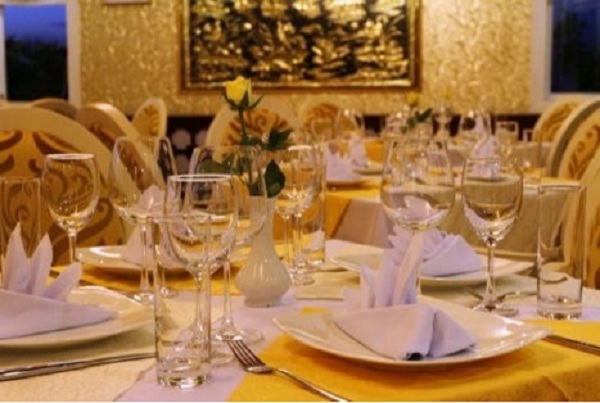 The experienced chefs provide a varied selection of Vietnamese and International cuisine including fresh local seafood, all carefully prepared and presented. 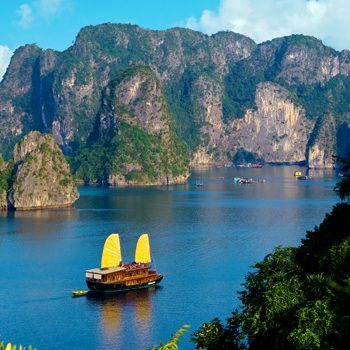 It’s a warm feeling of home upon the world heritage site- Ha Long bay. White Dolphin’s impeccable standards apply to every detail of your voyage. 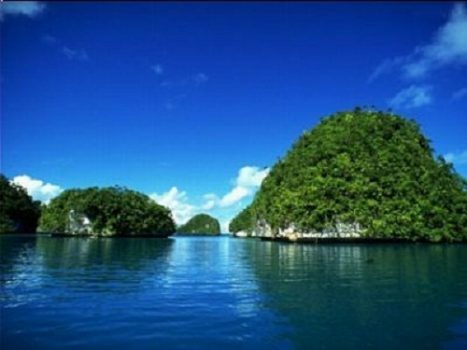 White Dolphin Cruise Halong bay is the perfect liner for all kinds of holidays. Cruise for a romantic getaway, a wedding ceremony, anniversaries, honeymoons, and intimate family gatherings aboard the White Dolphin Cruises.